Bananas are know for its high content of potassium, manganese, vitamin c, and fiber. It is very tasting and easily digested. It is a very essential food especially for children. Bananas play a vital role in people who are getting over their illness. Other benefits it provides are; helping the body with the absorption and to preserve calcium in the body. It also helps with sleep and aids the immune system to function effectively. Health Nutrition Benefits of Bananas are needed to provide the essential nutrients the body needs to function effectively and maintain lasting health. It is important to add Fruits and vegetables to your daily diet as an essential sources of health nutrition. Bananas are very healthy, taste delicious contains essentials nutrients that aids digestion, and also provides some benefits for your weight loss, and heart health. You can have a banana basically any time of the day which is also good for snack and can replace other unhealthy food that usually being eaten as snacks. While you can eat at least one ripe banana everyday, you can also pulverize it in your NutriBullet that breaks the walls of your fruits and vegetables and extract the nutrients and enzymes which makes it easier for digestion. In essence it aids digestion. Through out the world, bananas is considered to be one of the most popular fruits. It is said that bananas contain a substantial amount of fiber including various amount of antioxidants. Bananas contain a fair amount of fiber, as well as several antioxidants. Some of the important nutrients Bananas Contain are: Potassium: 9% of the RDI, Protein: 1.3 grams, Copper: 10% of the RDI, Vitamin B6: 33% of the RDI, Fat: 0.4 grams, Fiber: 3.1 grams, Vitamin C: 11% of the RDI, Manganese: 14% of the RDI, Net carbs: 24 grams, Magnesium: 8% of the RDI. It is determined that one banana contains mostly water and carbs, has about 105 calories, hoods a small portion of protein and almost zero fat. Resistant starch and starch are found in green bananas and formed the carbs, which as soon it is ripen, the starch becomes sugar Which is called, glucose, fructose and also sucrose. The blood sugar levels can be moderated by the nutrients in the banana. The banana is also rich in pectin, which is a certain type of fiber which makes the flesh of the banana spongy. It is concluded that green bananas contain what is known as resistant starch, which behaves like soluble fiber and escapes digestion. The blood sugar levels may be moderated by pectin and resistant starch after meals which also help to reduce appetite or slowing down the emptying of the stomach. 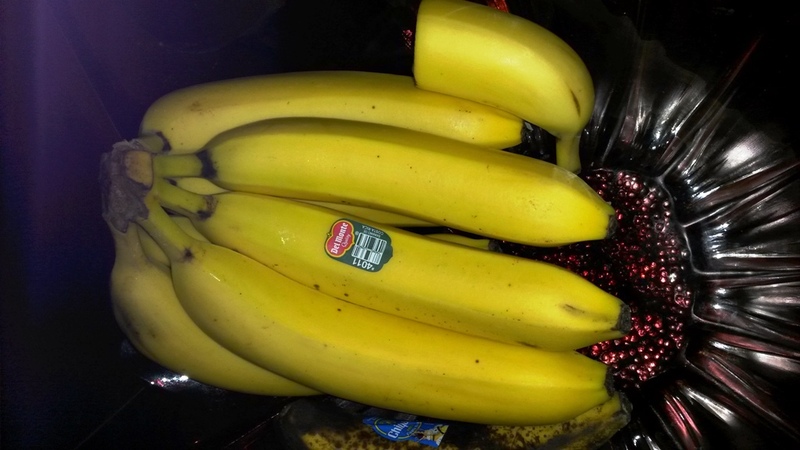 It is stated that the GI value of green or unripe bananas is said to be about 30 and conversely, the ripe bananas is about 60. In general, the average value of all bananas is 51 (8, 9). It is also stated that a major spike should not be caused by bananas in the blood sugar levels in individuals who are healthy. On the other hand, it may not apply to people who have type 2 diabetes and should avoid eating a lots of bananas that is well-ripened, at the same time should they should monitor their blood sugar levels very carefully if they do eat a lot. Based on the premise that bananas can help to moderate your blood sugar levels after each meals, and at the same time may reduce appetite by slowing stomach emptying, it also suggested that fiber has been linked to many health benefits, including improved digestion. It is stated that a medium-sized banana has about 3 grams of fiber, which makes it a fairly good source of fiber (10). It is discovered that Pectin decreases as the banana ripens. Also Resistant starch is found in unripe bananas. It is also discovered that Resistant starch escapes digestion while it ends up in the large intestine, and there it becomes food for the beneficial bacteria in the gut. It is also suggested that some test-tube studies propose that pectin may help protect against colon cancer.